These tips aren’t medical; they’re environmental. What’s in your house, condo or apartment can impact how healthy you feel. Energy-efficient home building codes can have a big impact by keeping air (and pollutants) locked inside. “WWYW coined the term Tight Box Syndrome to describe the ventilation issue,” says Cooke. Harmful toxins are in products like paint, furniture finishes, carpeting, flooring, mattresses and even appliances and TVs, she adds. Cleaning products, pesticides and synthetic air fresheners can also adversely affect indoor air quality. “Natural bedding made of cotton, linen, hemp or bamboo should be considered for comfort,” Cooke says. “Mattresses made of quilted or tufted all-natural materials including wool and cotton batting should be your first choice in achieving a healthy bedroom.” The others can include toxins, she says, and should be stored in a garage during their off-gassing period. Doctors, social agencies and community groups that have long been frustrated by the inability to alleviate environmental conditions that contribute to ailments like heart disease and obesity are promoting the idea that a shift in land-use planning and design can stanch some of the harmful influences. Will “healthy” amenities and construction add value to your home? Contact the appraisers at www.scappraisals.com for your value questions. 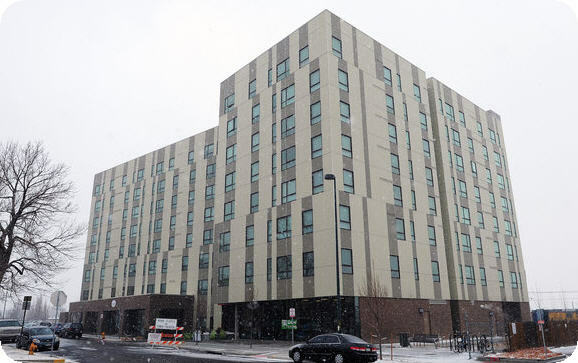 The concept is being put to one of its earliest and biggest tests in the La Alma/Lincoln Park neighborhood near downtown Denver. That’s where the city’s housing authority used a relatively new decision-making tool known as a health impact assessment to draft a redevelopment plan that encourages physical activity and environmental sustainability. To that end, the redevelopment of buildings in the 17-acre project, known as Mariposa, will incorporate ecologically advanced construction materials and practices, and a combination of geothermal and solar power will generate up to 60 percent of the development’s energy. Residents will also find naturally lighted and centrally located staircases enticing them away from the elevators, as well as neighborhood gardens to encourage a better diet. 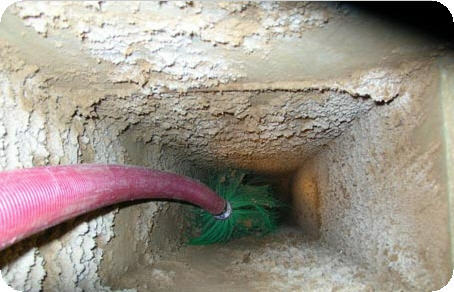 Do Your Ducts Need Work? Although many homeowners consider duct cleaning a way to make their indoor air cleaner, research on whether it can really create a healthier home is in the early stages. The Environmental Protection Agency recommends looking into duct cleaning after fires, floods, pest infestations and in hazardous waste situations, or if you can see particles coming out of your ducts. Otherwise, the agency says it’s not necessary for the average household. Does poor duct work effect value? Contact the appraisers at www.scappraisals.com for your value questions. Tom Keys, president of Atlantic Duct Cleaning in Sterling, Va., says his company has done more than 80,000 duct-cleaning jobs, and that many customers report back that they have better air quality, a cleaner home and lower energy costs. Customers often are surprised at how much debris collected in their ductwork over the years, he says. “Most of the people who do it, do it for peace of mind,” Keys says. His company has found all sorts of items in ductwork beyond dirt and grime, including class rings, rare baseball cards and construction debris from when the home was built. Keys encourages homeowners to ask duct-cleaning technicians for evidence that there is dirt in the ducts that should be removed. Jodi Araujo, executive director of the National Air Duct Cleaners Association, says homeowners can tell when ducts are dirty by simply removing a register cover, inserting a camera and clicking a photo. On the other hand, John DeSilvia, a contractor and host of DIY Network’s “Rescue My Renovation,” doesn’t generally recommend duct cleaning to homeowners. It’s normal for dirt to accumulate and stick to the sides of air ducts, he says. The exception, he says, is if there’s visible mold growth. If you do have ductwork cleaned, he advises getting a few estimates and ensuring that the service you hire uses high-powered equipment to capture what they dislodge. Otherwise, the effort could backfire. “Any dust and dirt not collected will be distributed throughout your home, causing a bigger problem,” DeSilvia says. If you decide to get your home’s ductwork cleaned, expect to pay between $400 and $800 if there’s one HVAC (heating, ventilation and air conditioning) system. If you have more than one zone, you could pay more. That’s because duct cleaners don’t just clean the ducts; they also clean the furnace and air handler for each unit, which could extend the life of your appliances. In addition, they can identify any places where a duct has become unsealed, torn or flattened, preventing good airflow. Many professional duct cleaners recommend having a system cleaned every five to eight years.